Kentucky Fried Chicken® – the original chicken purveyor– is making a formerly upscale brunch favorite available to everyone with the introduction of its new Kentucky Fried Chicken & Waffles, available for a limited time only. With Kentucky Fried Chicken & Waffles, you can forget the reservations, long lines and expensive checks and get back to what really matters: the food. “Our famous extra crispy, savory fried chicken atop a Belgian Liege-style waffle, with the finishing touch of classic Mrs. Butterworth’s syrup, makes for a scrumptious dish I’d put up against versions at upscale restaurants, but we’re offering it at a price just about anyone can afford. And it can be enjoyed at KFCs across the country for brunch, lunch or dinner,” said Andrea Zahumensky, Chief Marketing Officer, KFC U.S. 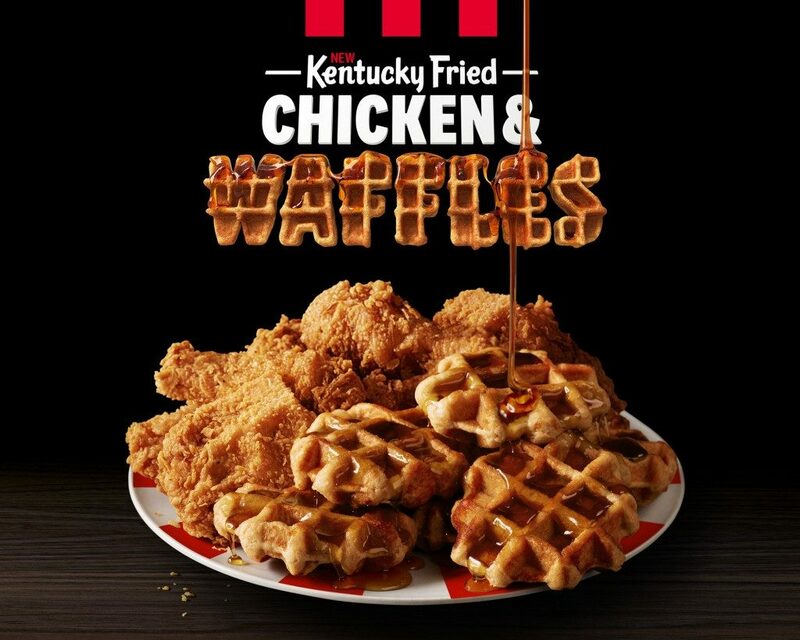 Starting today, and through December 31, Kentucky Fried Chicken & Waffles is available at KFC’s nearly 4,200 restaurants spread across every state in the U.S., so almost everyone can experience the popular dish for a limited time only. Advertisements that started airing yesterday show the Colonel and Mrs. Butterworth, two brand icons, pairing up for the equally iconic combination of Kentucky Fried Chicken & Waffles.